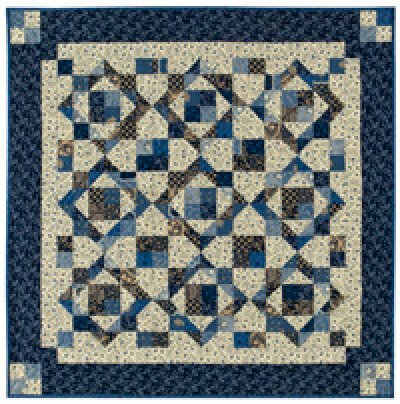 Made from just one block, Aunt Sukey's Choice, this block made in just two colors creates a beautifully graphic quilt with ease. Four Patches and Half Square Triangles play together in easy construction. The quilt measures approximately 36" x 36".